Zen Master Scissors Ireland are the exclusive distributor of KAMISORI SHEARS and ZEN MASTER offering the very best in professional hairdressing scissors and barbering scissors and shears in Ireland including Northern Ireland and the UK. We supply student college hairdressing and barbering Scissor kits for students and apprentices and accessories including Feather Razors, cut-throat razors, combs, holsters and scissor cases. We also offer a professional scissor shear servicing, repair and sharpening service, hairdressing and barbering scissor oil and maintenance kits including scissor finger rings. We are also an authorised distributor of YS Park combs in UK and Ireland. Zen Master Scissors imports/exports the very best hairdressing scissors and razors from Japan. Dedicated to providing the world’s hairdressing industry with the leading high end Japanese hand crafted scissors, the hairdressing scissors that you purchase from this site are at the top of their scissors game. They assure superb performance, lifetime quality and the highest standards when it comes to cutting. All Kamisori shears are covered under our lifetime warranty unless specified otherwise. We will repair or replace any shears that we find are defective or malfunctions. We know you want to protect your investment. 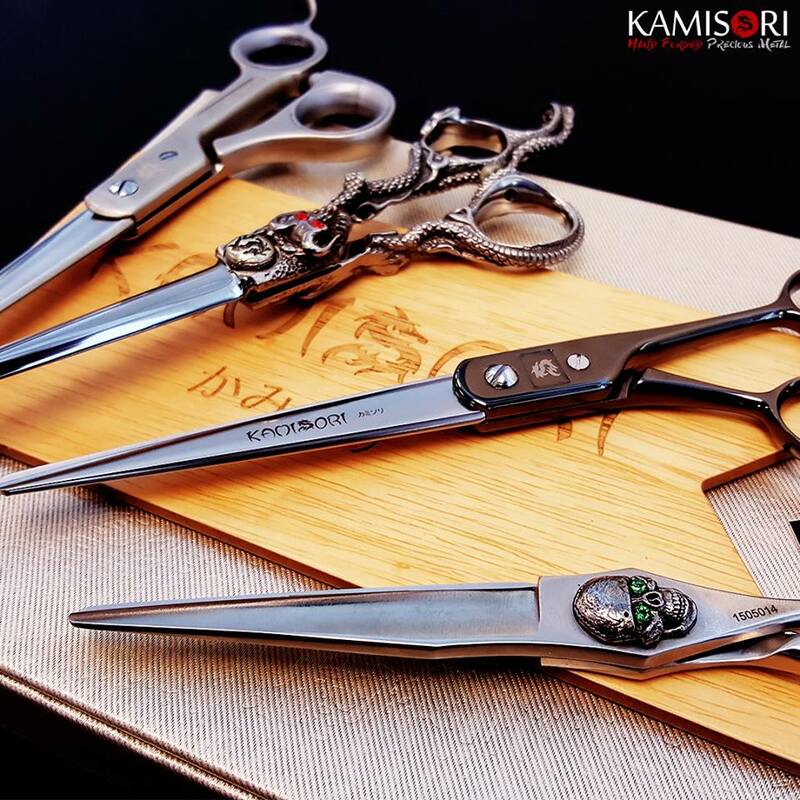 All Kamisori shears from our ‘Main Collection’ comes with 1-year complimentary drop protection. In the case you accidentally drop or damage your shears, we will repair or replace your shears with the same model. We welcome you to call or email us for further guidance on what scissor is right for you or more about our scissors, shears, razors and texturisers for hairdressers, hair salons and barbers throughout Ireland.